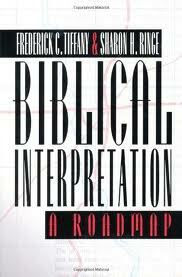 Based on the book, “Biblical Interpretation: A Road Map,” by Frederick C. Tiffany and Sharon H. Ringe, this course will provide tools for doing and leading in-depth Bible Study. It is intended for use by groups wishing to develop their capactiy for conversation with scriputre and is approved for Advanced Lay Servant Minister Courses in the New England Conference of the United Methodist Course. The course will be particularly useful for those who lead Bible Studies, design worship or prepare sermons, but is also valuable for personal study. The tools combine a variety of approaches to scripture reflective, analytical, experiential, and constructive application. They are designed for use in a faith community. The approach is a valuable “next step” for those who have participated in Disciple Bible Study and are looking for an ongoing method of biblical interaction. The Road Map sees Bible Study as a conversation between the Biblical Message (the Text), the Reader, and other Readers. The Lay Speakers’ Biblical Roadmap course is structured in Six Sessions lasting 2 hours each. Additional sessions may be offered for conversation and practice at the study group’s own initiative (These sessions may work with passages covered in part two of the textbook or be based on passages suggested by the participants).